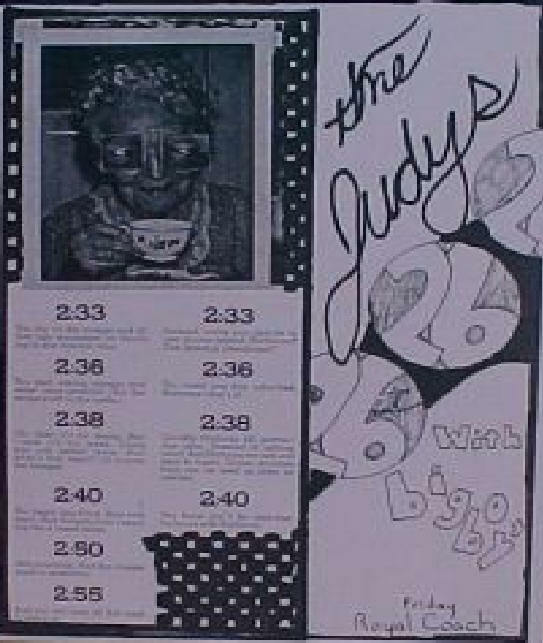 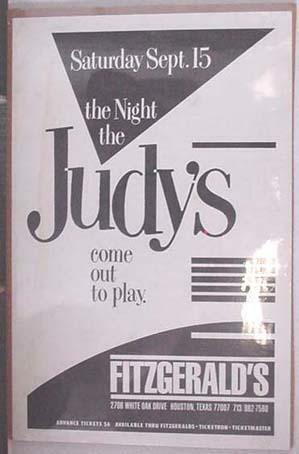 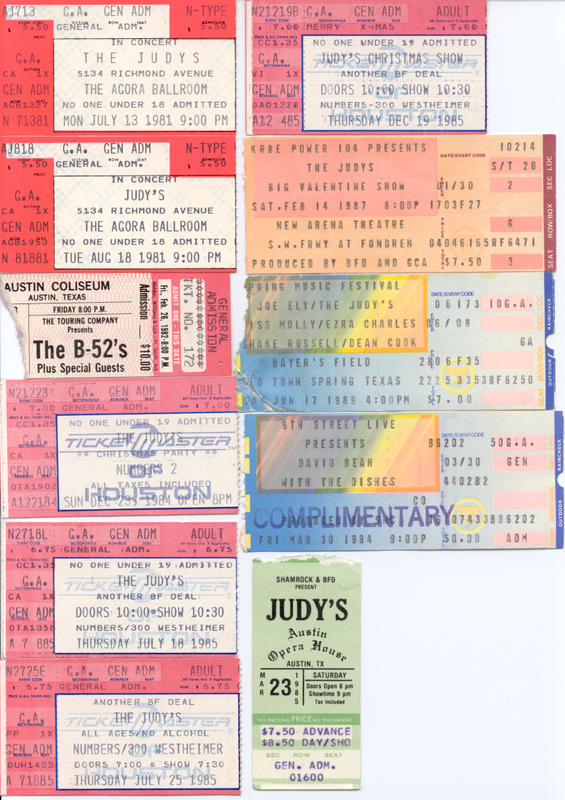 Set list from the Judy's First Reunion Show at Fitzgerald's on 9-15-84. 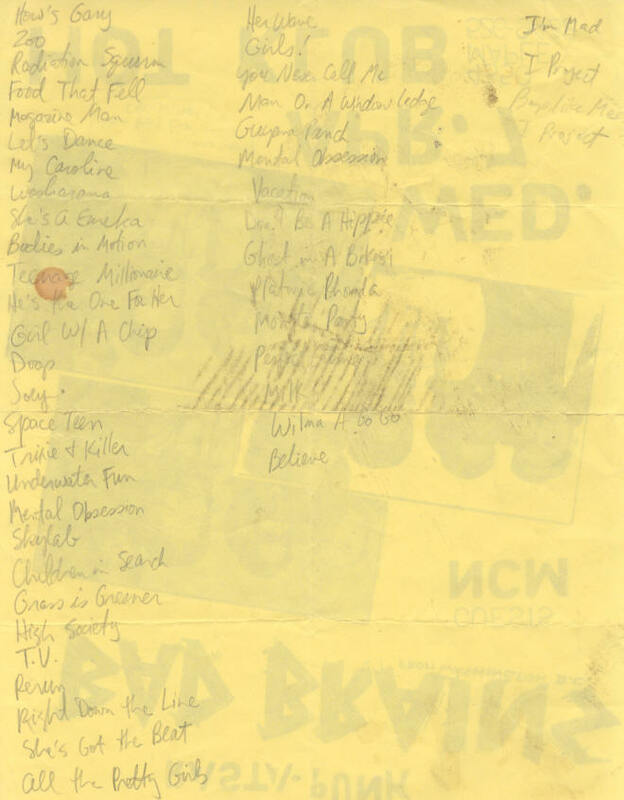 Set list from the New Year's Eve Party at Diverse Works in Houston on 12-31-84. 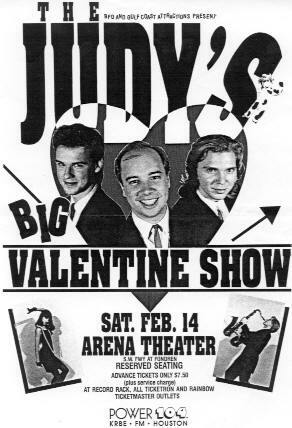 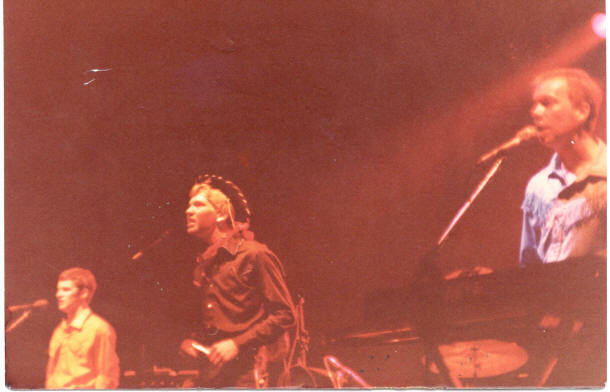 Dane was out and Matthew was in on drums for this 2-14-87 show at the Arena Theater in Houston. 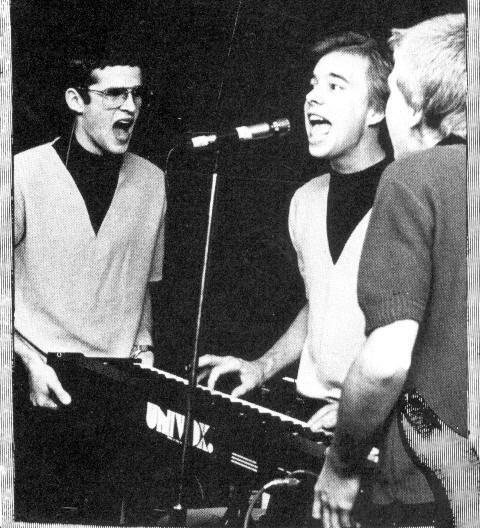 Pearlander Scott Krchnak was playing the sax. 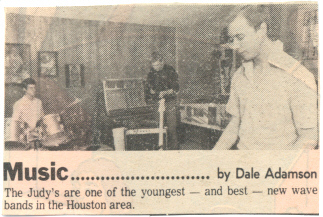 This was a teaser for the Houston Chronicle's Zest Magazine story that ran on 3-15-81. 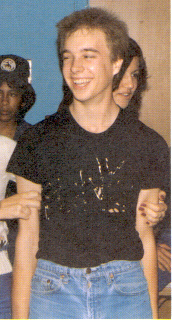 David is wearing a home made shirt that has "Punk" spelled out in safety pins. 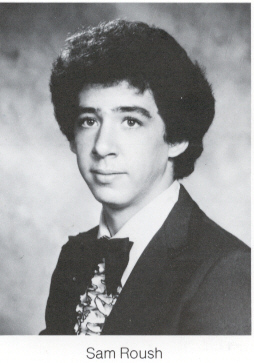 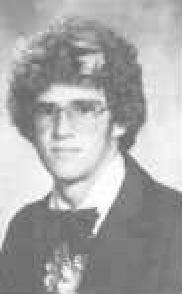 Sam Roush's 1980 PHS graduation photo. 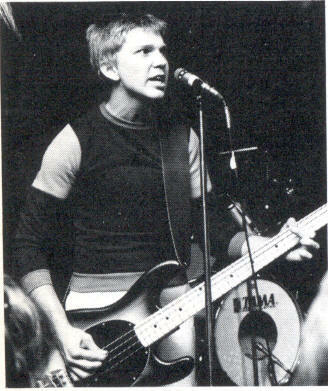 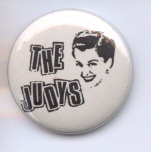 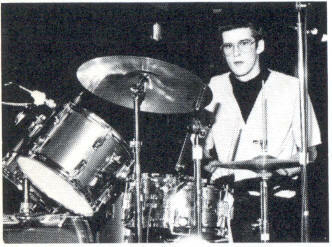 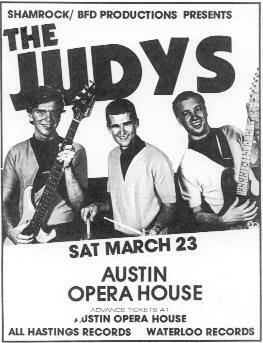 Sam was the Judy's guitar player who died just before the EP "Teenage Hang-Ups" was released. 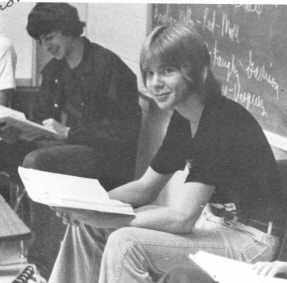 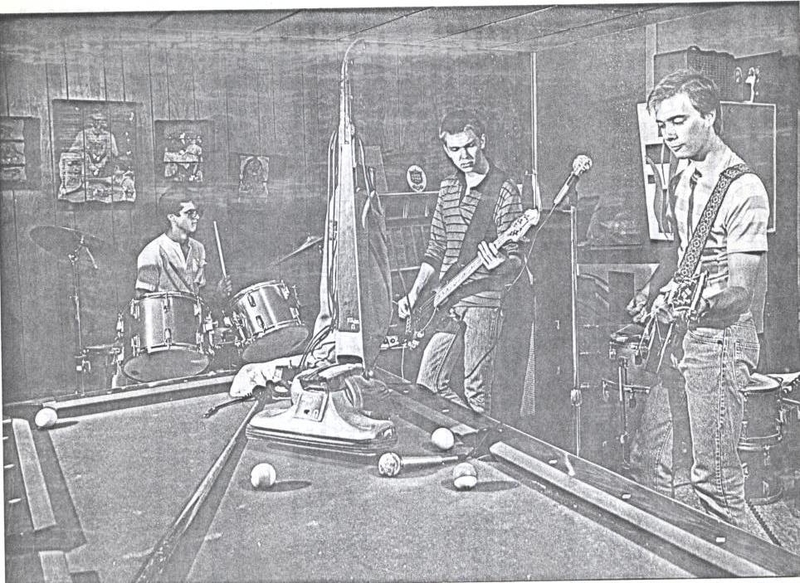 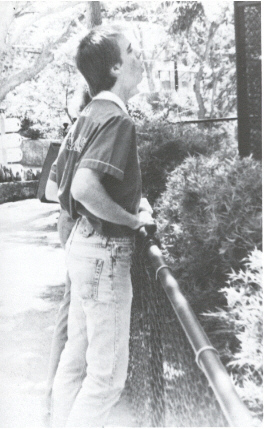 This is a March 1982 photo from the Pearland school paper. 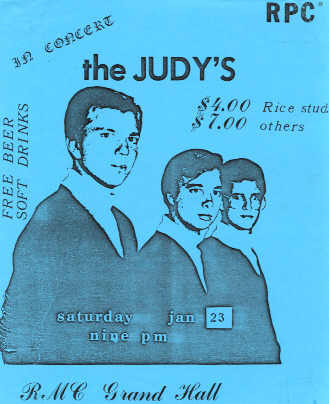 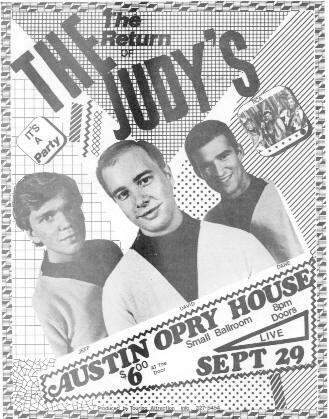 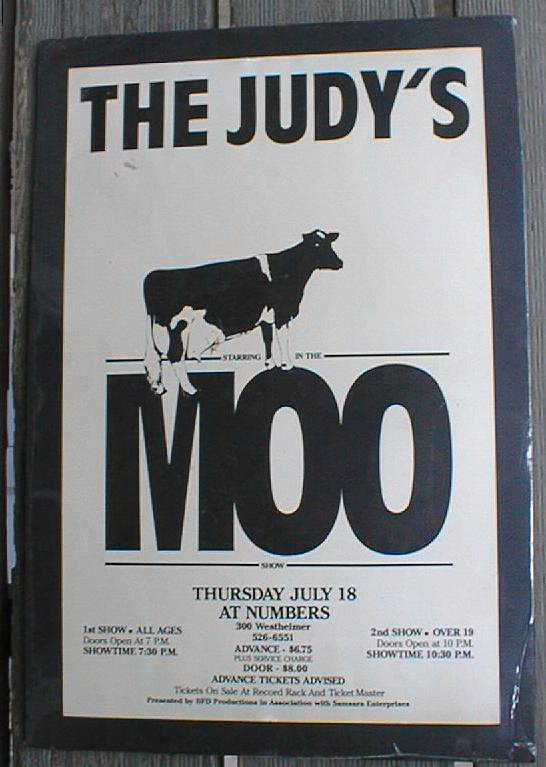 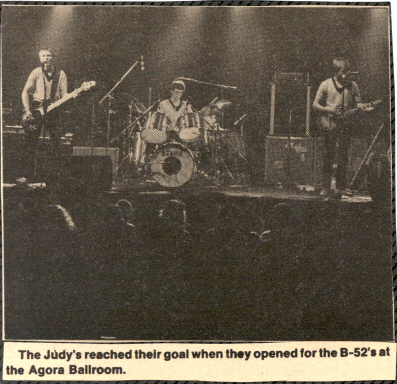 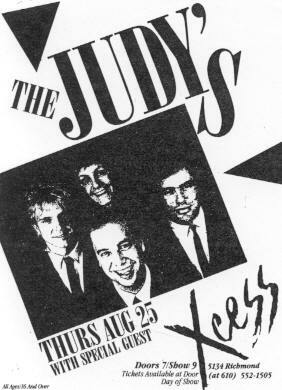 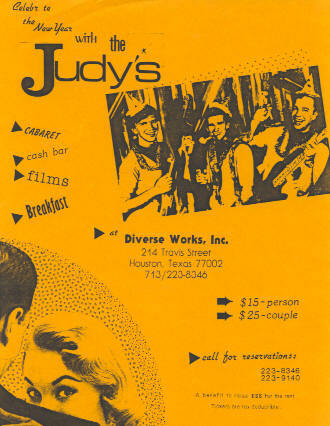 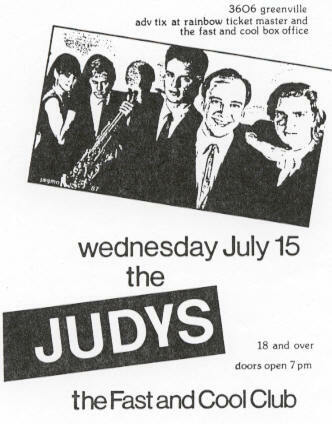 The Judy's open for the B-52's. 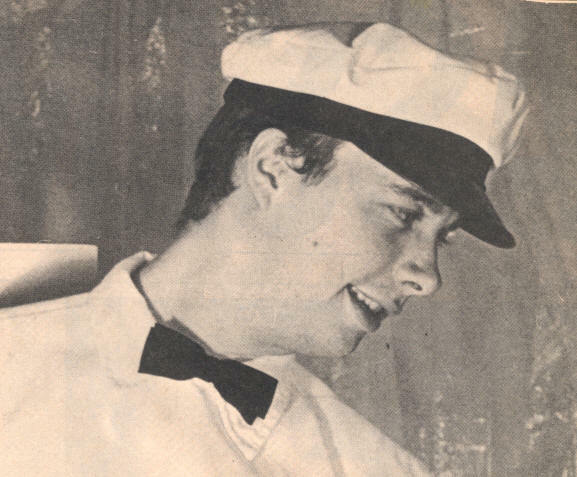 David in his "Moo" milk man outfit. 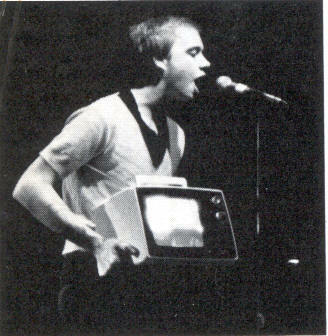 Wireless magazine 1985. 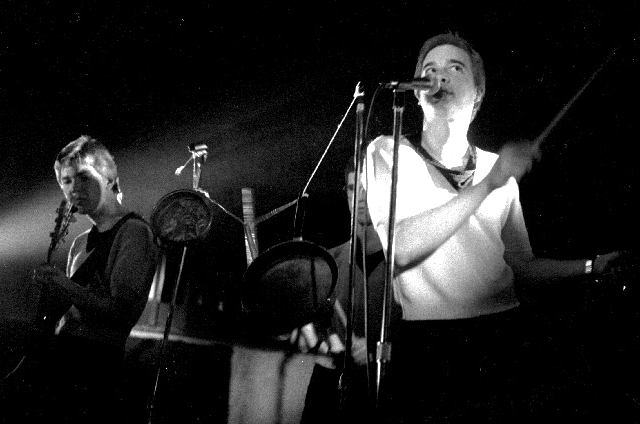 Live shot from Club Foot in Austin by Dixon. 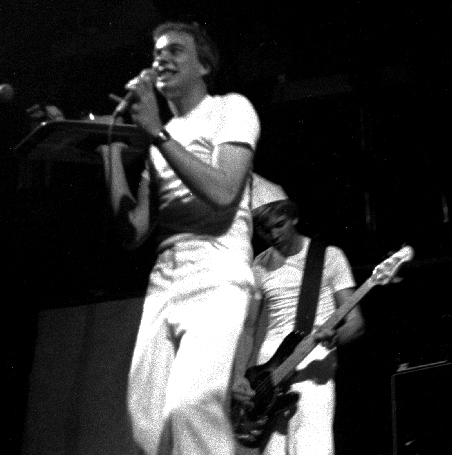 Another shot from Club Foot by Dixon. 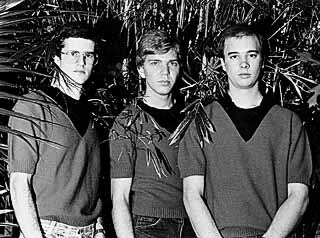 This publicity shot for the Moo album appeared in the Houston Post on 7-25-85. 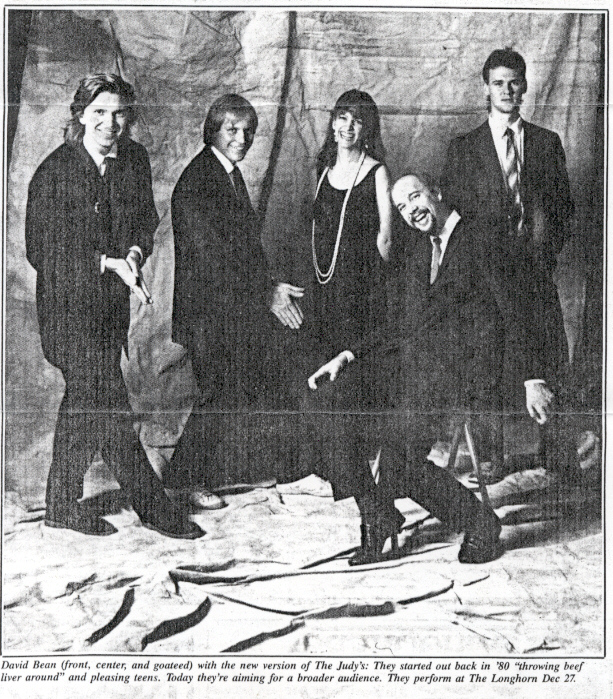 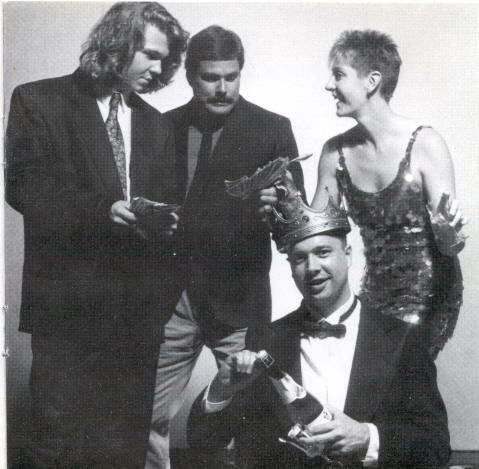 Here is Jeff, Scott, Vanita, David, and Matthew from the 12-25-86 edition of the Dallas Observer. 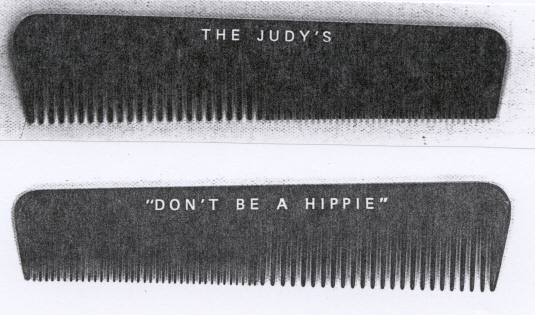 "Don't Be A Hippie" comb from 1988. 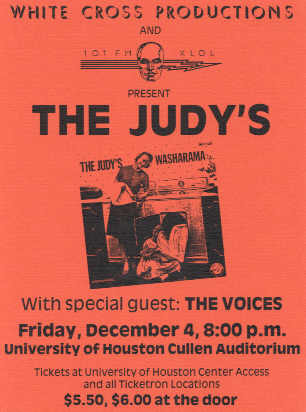 This was mailed out with the letter below. 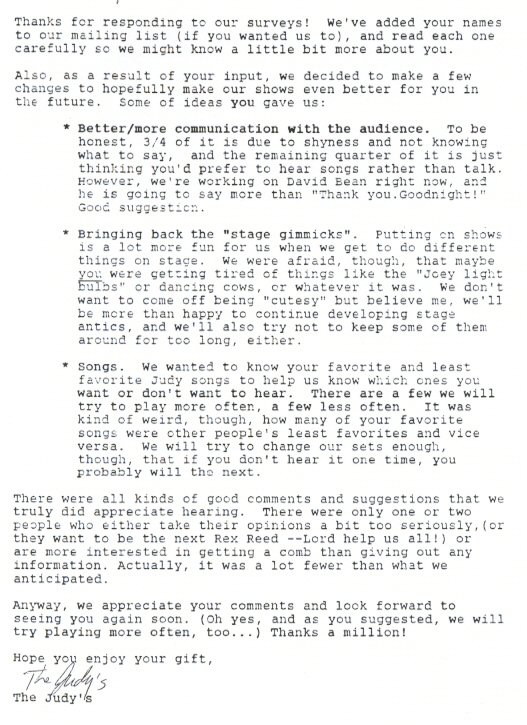 This 1988 letter was sent out to everyone who responded to the Judy's survey questions. 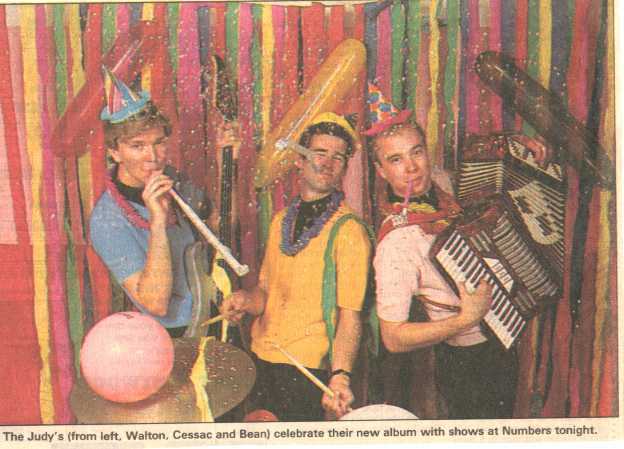 The comb was included.